When I was a kid, I loved watching Whose Line Is It Anyway?, the TV show where comedians performed on-the-spot skits, bits, gags, impressions, and songs. I may not have understood all of the grown-up humor, but the silliness and fast-paced jokes had me rolling on the floor. One of the best recurring bits was called Props. The comedians were given a large innocuous foam shape and took turns acting out a one-second scene imagining the prop as something new, usually delivering a hilarious one-liner to go along with it. The speed at which the comedians could come up with their ideas blew me away. It wasn’t just a foam disc with curly tendrils they were holding; when balanced on someone’s head, it became an old-timey telephone operator’s headset. How did these comedians do it? They were thinking outside the box! This type of creative thinking comes naturally to young children. Imagine handing a six-year-old child a cardboard tube or a pool noodle. How long do you think it would take for them to come up with seven different ways to use the item? Children are masterclass comedians when it comes to re-imaging a cardboard tube as a telescope, a megaphone, a mosquito proboscis, a baseball bat, deer antlers, or a toothbrush. When it comes to play, there is no “wrong answer” when imaging outside-the-box uses for everyday items; it’s just fun. Yet, thinking outside the box goes well beyond quick wit in the name of prop comedy or imagination play — it has immense benefits in the “real” world, too. 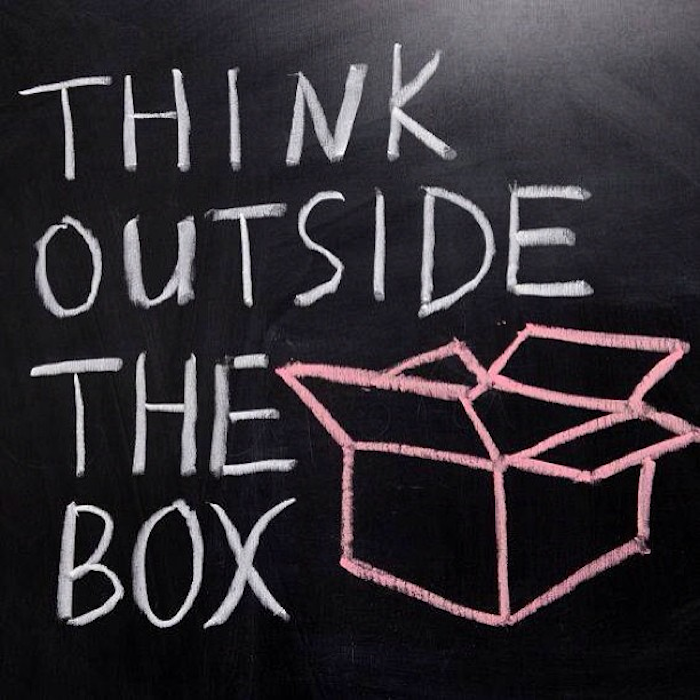 We can use outside-the-box thinking to solve problems or create something new. 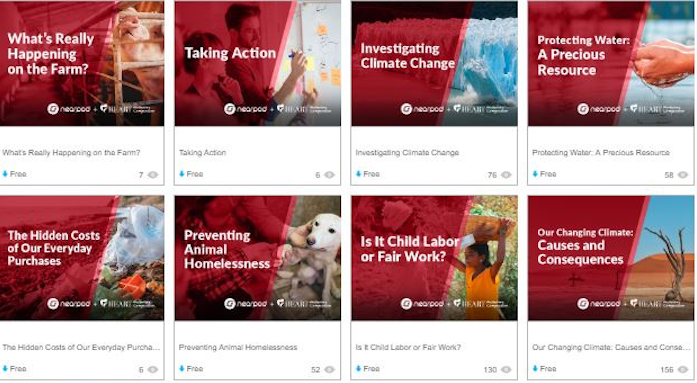 In our ever-changing landscape, where climate change and pollution threaten the natural world, and where humans and animals face harm at the hands of others, someone thinking outside the box to help solve these problems could mean positive change to end the suffering of others, or to limit further destruction of the environment. Youth readily use their imaginations when it comes to play, but we need to make sure we nurture their outside-the-box thinking when it comes to solving problems and helping others, too. Being a solutionary is great, but being a solutionary who can think outside the box is even better! One way to help nurture this kind of thinking is to provide youth with opportunities to learn about people who are already thinking in novel ways when it comes to solving problems in the world. In HEART’s Justice For All: Educating Youth For Social Responsibility primary school guide, we have a lesson called “Thinking Outside of the Box.” In this lesson, students hear the stories of advocates who developed an ingenious solution to an issue that concerned them. Students are invited to research a person who used an inventive approach to act heroically, and then share what they learned with their class through a poster presentation. True, Colin Mochrie and Ryan Stiles from Whose Line? were my comedy heroes when I was a kid, but I would also have loved to hear the stories of other heroes like Veronika Scott and Boyan Slat. Veronika helped address multiple problems by employing people who were experiencing homelessness and teaching them to sew her new design: a two-in-one sleeping bag/coat. Boyan is piloting cutting-edge technological systems, driven by water currents, that he designed to clean up the trash in the oceans. Youth can easily understand that donating food to people experiencing homelessness or picking up litter on the beach are ways to make a positive difference. We can take this one step further by also showing them real-world examples of people solving problems by thinking outside the box, providing an opportunity for them to feel inspired and empowered. By encouraging outside-the-box thinking, we can cultivate a new generation of engaged, imaginative youth. Instead of seeing insurmountable obstacles when faced with a problem, they will see opportunities to flex their creative and critical-thinking muscles, and can turn the sparks of inspiration and innovation into meaningful action. 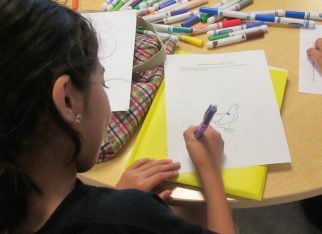 Meeting Hidden Demand for Humane Education Lessons Students Investigate California's "Prevention of Cruelty to Farm Animals Act"